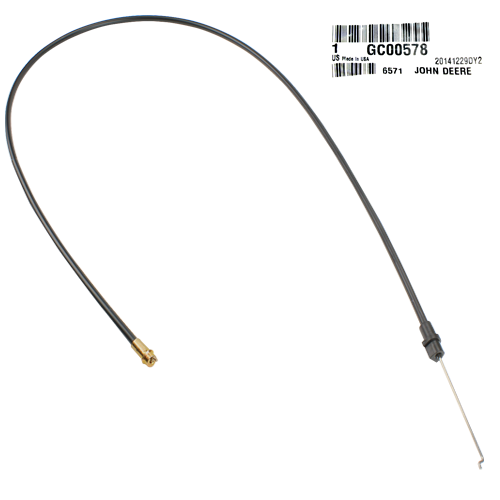 A genuine John Deere #GC00578 Shift Cable. Push - Pull type. Has an overall length of approximately 45". Original Equipment (OEM) part.